When it comes to immediate relief of pain, it’s best to consult a chiropractor. What is a chiropractic care? Chiropractic is derived from Greek words “chier” and “praxis,” which mean hand and action. Chiropractors perform manual adjustments in a form of massage, applying electrical muscular stimulation and incorporating a balanced healthy lifestyle instead of prescribing medicines or performing invasive procedures. In studying human anatomy and physiology, we have learned that every living cell, organ and system of the body is controlled by the nervous system, which sends and receives electrical impulses via a neural network passing through the spinal column. Chiropractors believe that displacement of vertebral discs that house the spinal cord causes tension around the area, which causes this transmission to be altered or blocked. Chiropractic care comes with scientific concepts for diagnosis and management. A chiropractic doctor performs a thorough physical assessment along with diagnostic procedures to identify the most suitable system of pain management for the patient. Chiropractic care works by aligning displaced vertebrae, which are commonly referred to as subluxations. Once these subluxations are removed, it releases nerve tension and irritation and thus restores joint mobility. 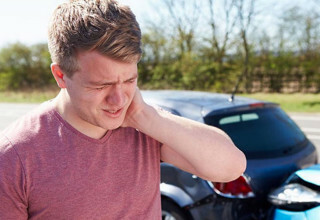 This is an alternative method of treating pain from auto crashes and sport injuries. Some studies also showed that chiropractic care works effectively in patients with hypertension and can even improve airways for patients suffering from asthma. Chiropractors typically earn a 4-year bachelors and later enroll in a doctorate educational program comparable to clinicians in terms of subjects pertaining to diagnosis, pathology and other life sciences. Their studies are usually more focused on natural treatment and management of diseases. They are required to perform a specific number of chiropractic procedures before they can get their license to practice. Chiropractors specialize in giving immediate relief from low back pain, tension headache and the like. Chiropractors perform adjustment and manual maneuvers to restore diplaced bones. 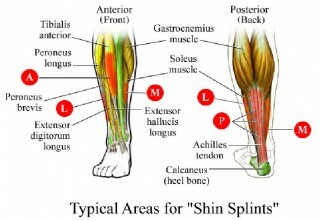 This does not usually hurt, but for some it may cause some minor discomfort depending on the complexity of the condition. These professionals work to ensure the body’s optimum level of health and maximize its capacity to protect the body from any form of potential risk or harm. Our body has many natural defenses from injury, and is thus capable of compensating for pain and healing on its own. Chipractic treatment boosts the body’s natural capacity to shield itself from pain by realigning the bones to state of balance. When Should You Seek a Chiropractor? Chiropractors specialize in rehabilitating nervous system problems experienced after trauma. Chiropractic practices should be performed only by trained professionals. Therefore, in seeking this sort of treatment, be sure to check whether your specialist is licensed or not. The procedure is proven effective and safe for children and elderly people. It’s best to seek regular consultation sessions with a chiropractor especially for these age groups, because they are likely exposed to many physical stresses. Where to Find Good Chiropractors? You can always ask a close friend or relative for recommendations. 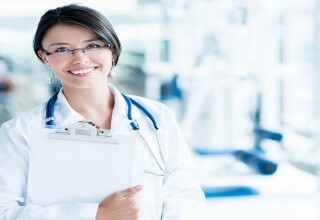 These professionals practice various techniques, so the treatments they offer will be different in every case. This is because they treat patients uniquely and in a holistic manner. You may also want to consider looking for a Chiropractor at HealthGrades or DoctorProfiles.